Join WITF at the next Ready, Set, Explore! family play date from 10am-12pm. 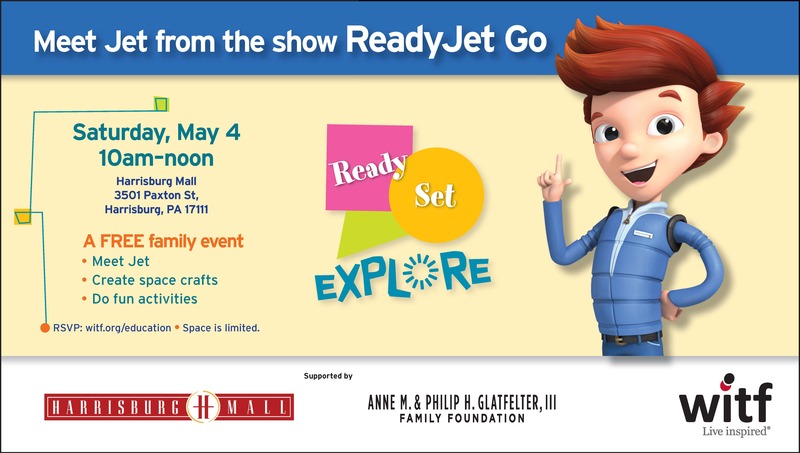 Meet Jet from Ready Jet Go, engage with educational activities and play together as a family at the FREE event designed for kids 3-8 years old. Featuring a minimum of 8 activities. Located in the center of the mall on the first floor. RSVP at witf.org/education.